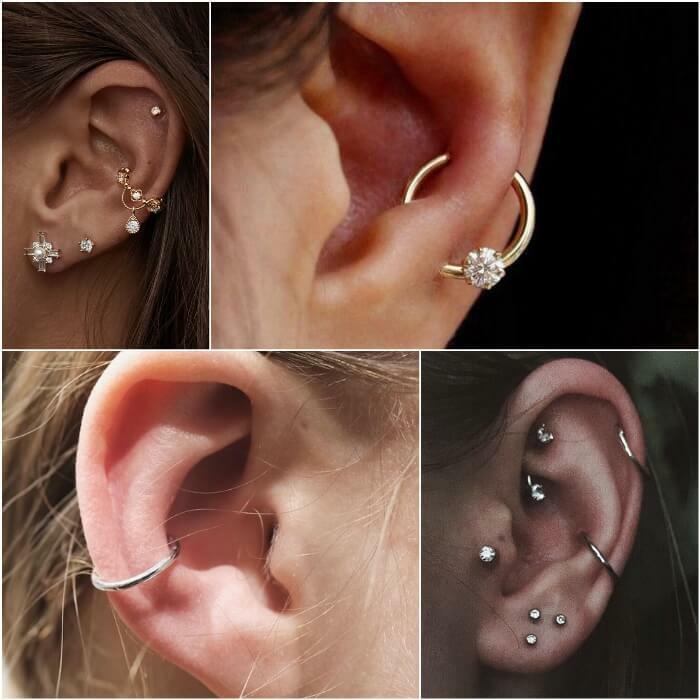 There are so many types of ear piercings that it can be extremely difficult to choose the one you want the most! 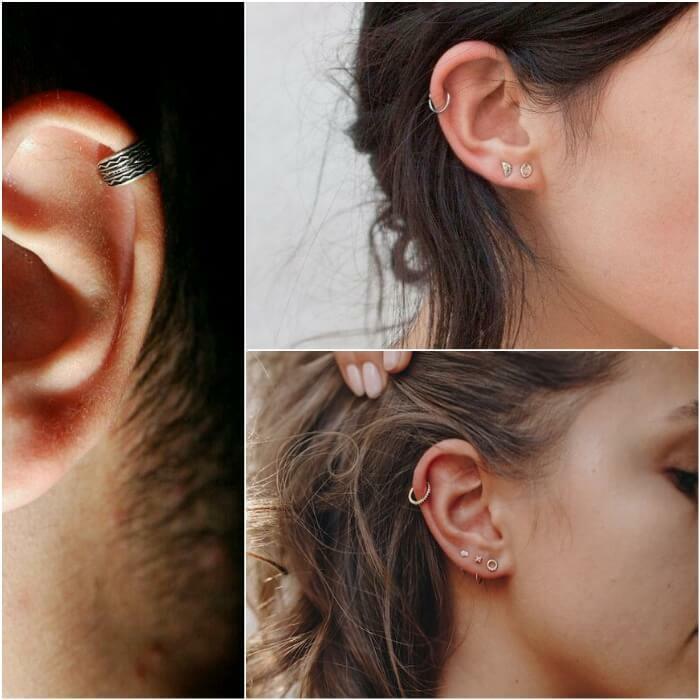 Different ear piercings come with varying pain levels, aftercare procedures, and healing times, so it’s important to research each one before deciding exactly what you want. Your ears can become a canvas of sorts that you can use to show off your creativity and style. 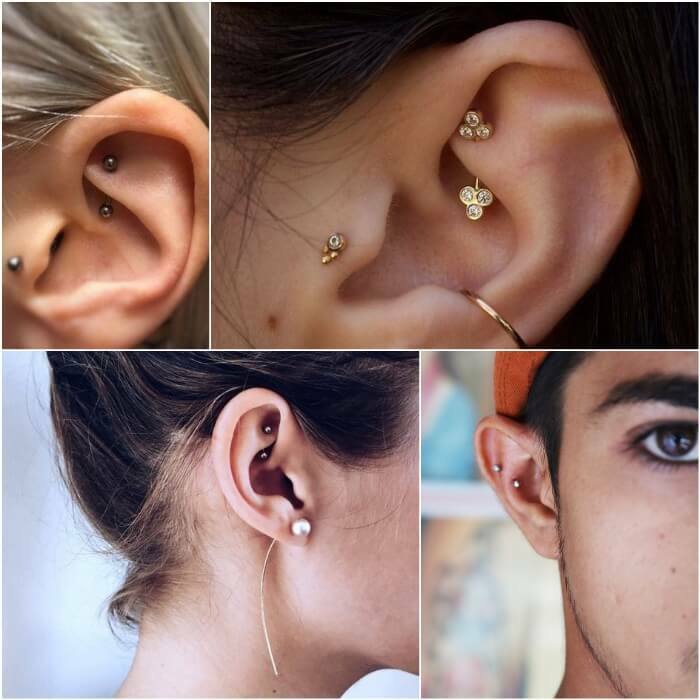 Here, we’ll take you through some of the most popular ear piercing types and what they entail. 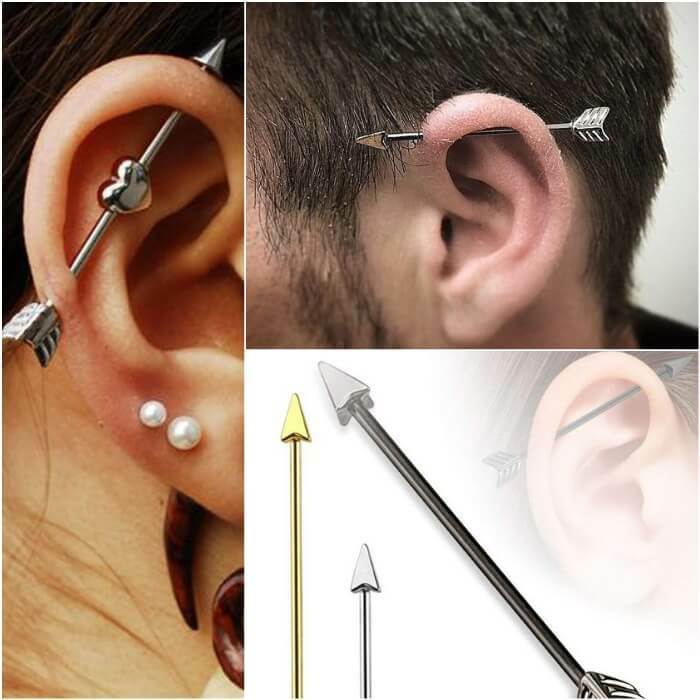 An industrial piercing, sometimes called the bar, scaffold piercing or construction piercing. 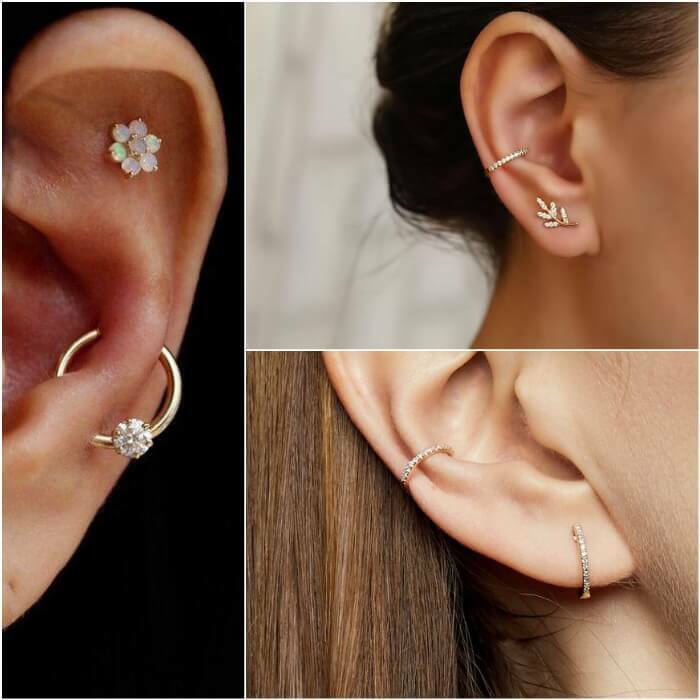 Industrial piercings are actually a pair of piercings that are connected with a single piece of jewelry. If you don’t handle pain well, this is not the piercing for you. Healing time for this guy is about nine months, depending on how well you take care of it. 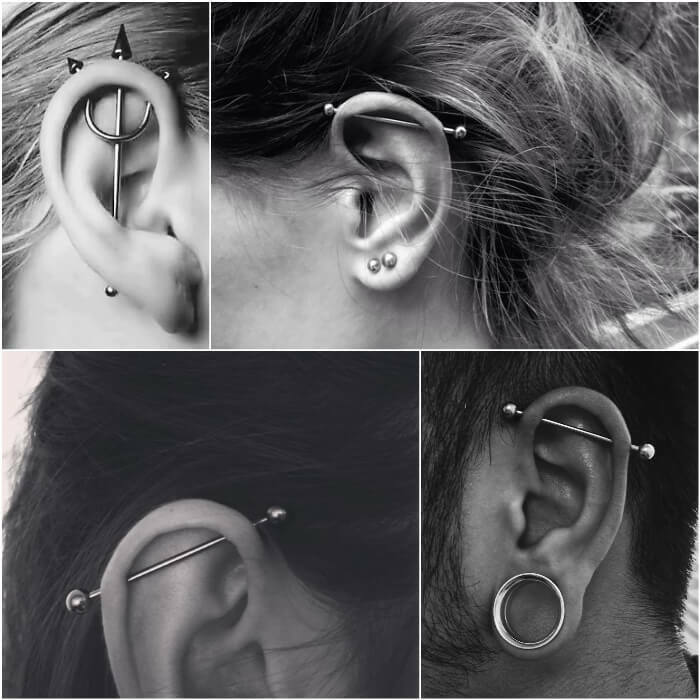 What is a Industrial Piercing? Orbital piercings aren’t exclusive to the ear, as they are technically any two piercings that are linked together with one piece of jewelry. 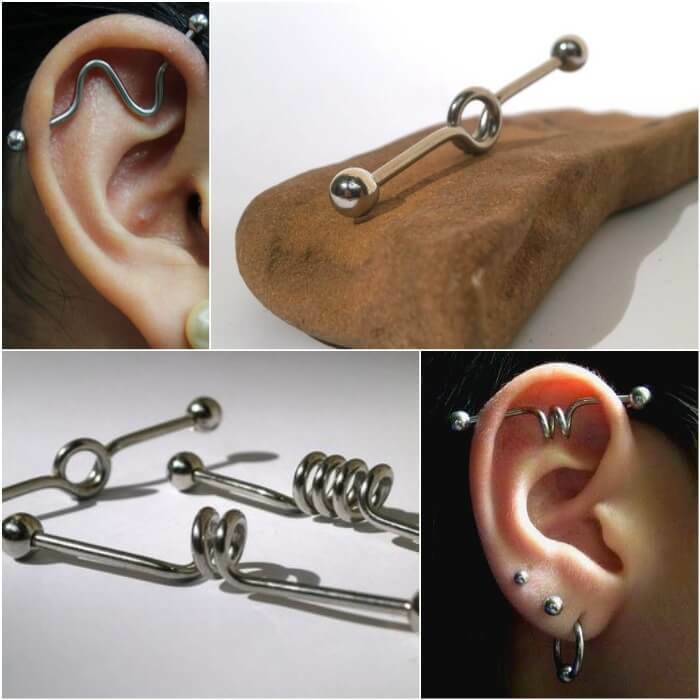 Orbital piercings are particularly popular in the helix area or anti-helix. 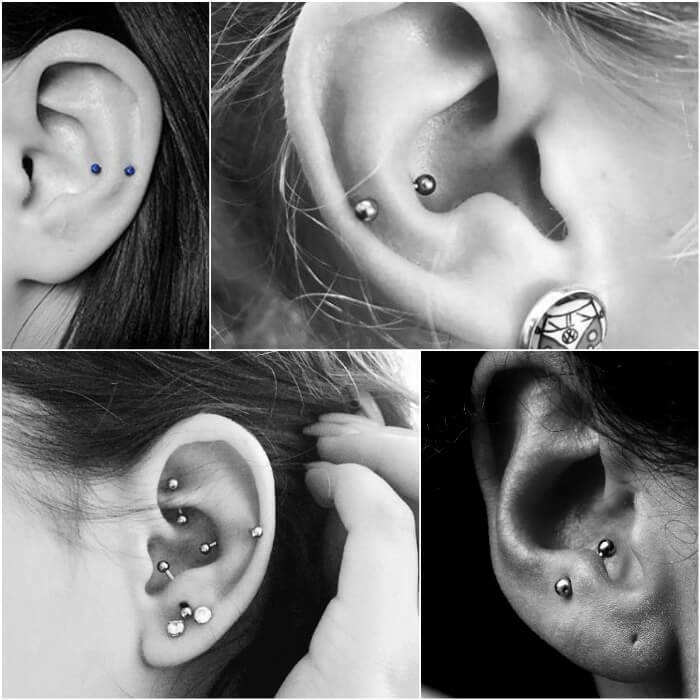 A piercing that is done nearer the lobe will heal faster than a piercing that is done in the cartilage. That is because there is more blood flow in areas that do not contain cartilage. All that said, there is an average healing time of six months to one year or longer to fully heal. 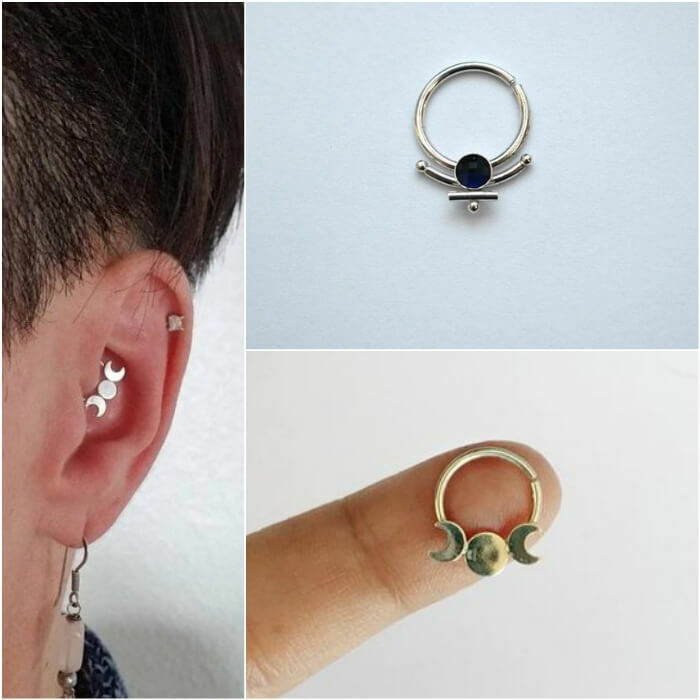 What is a Orbital Conch Piercing? 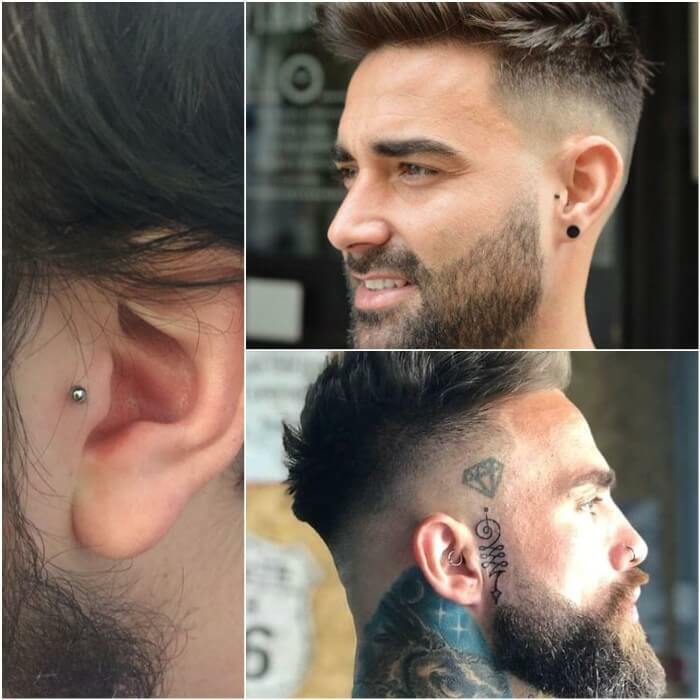 The snug piercing is one of the most distinctive ear piercings, as it’s located in the inner cartilage area part-way down the ear’s outer rim, just above the anti-tragus. It’s a very shallow location, which is why you’re likely to use micro jewelry when you get a snug piercing. during the six-month healing process, too. The rook piercing can be considered as sort of a cousin of the snug piercing. However, it’s vertically oriented and found above the tragus on the ridge separating the inner and outer conch. 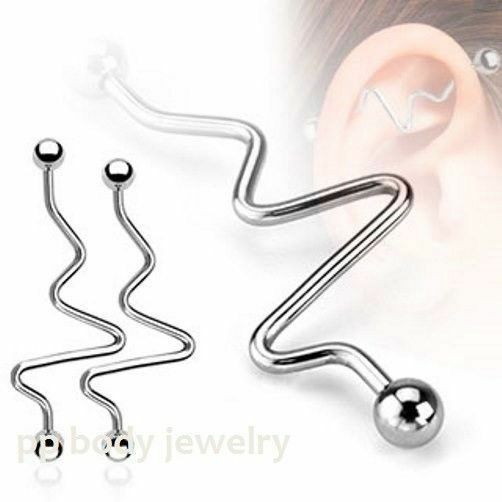 This piercing looks really cool with either curved barbells or captive bead rings. You’ll likely feel a lot of pressure while getting it done. We can’t forget to mention this dangly piercing takes about 10 months to completely heal. Are you willing to give it the care and attention it needs during that time? The tragus is the part of your ear right in front of your ear canal. This piercing can be more or less difficult depending on the thickness and size of your tragus. However, it’s also versatile and looks good with a number of jewelry styles. 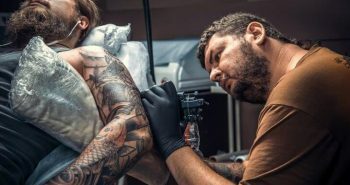 Because it’s a thicker piece of cartilage, you’ll feel slightly uncomfortable during and after the piercing, but it won’t be for too long. As far as healing time goes, this bad boy can take up to eight months. 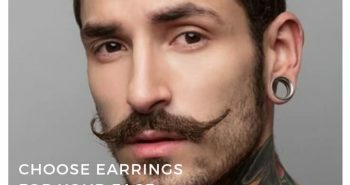 What is a Tagus Piercing? 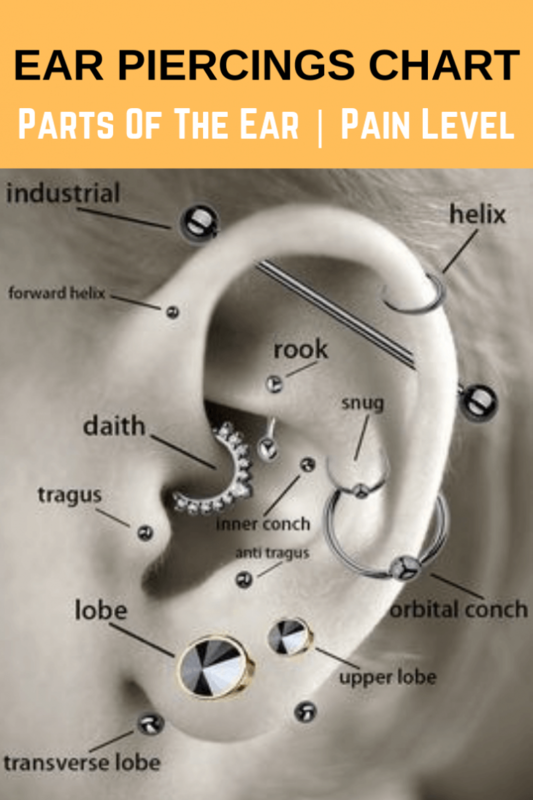 Helix piercings are cartilage piercings located along the upper ear. This piercing is performed using a small gauge piercing needle and often doesn’t include any pain because there are no nerve endings in this area. Because it does pierce cartilage, it does hurt a bit, but not as much compared to other cartilage piercings. You’ll feel some pain in the moment, but it’ll go away pretty quickly. This, too, has a long healing time, clocking in at typically three months. 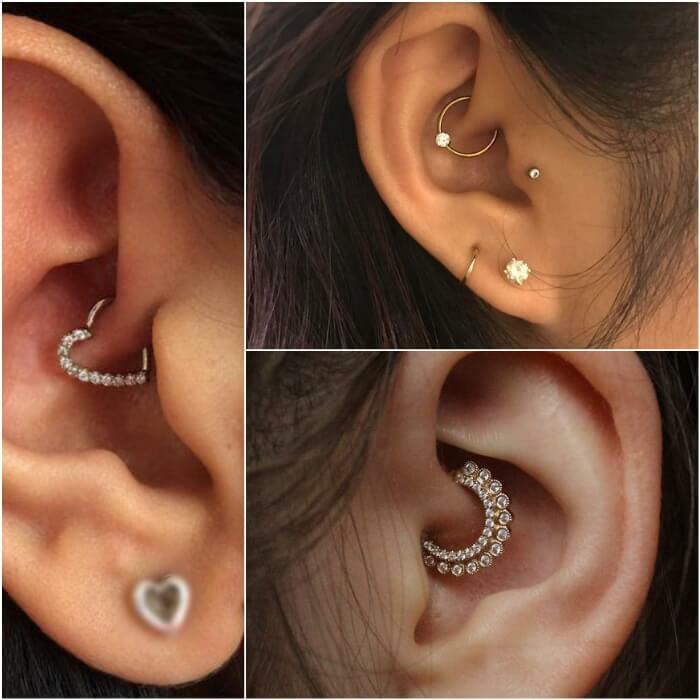 A daith piercing is an ear piercing which passes through the ears innermost cartilage fold. 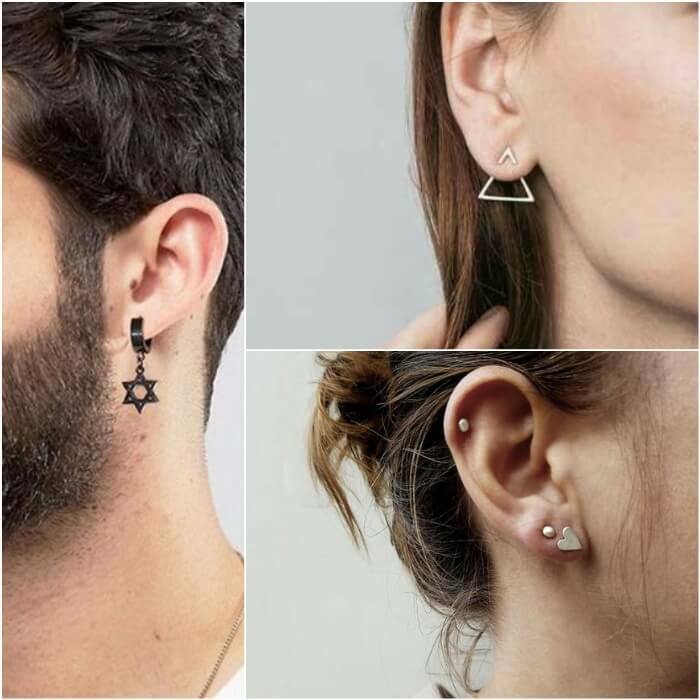 Because it’s a small, curvy piece of cartilage, it can sometimes be hard to pierce, and once it’s done, most people don’t change the jewelry often. An increasingly popular piercing, the daith may look pretty painful, but it’s really not that bad. It goes through the inner most cartilage of the ear, so you’ll feel a bit of pain, but it’s nothing totally intolerable. It does take a while to heal, lasting anywhere from three to six months, depending on how well you take care of it. 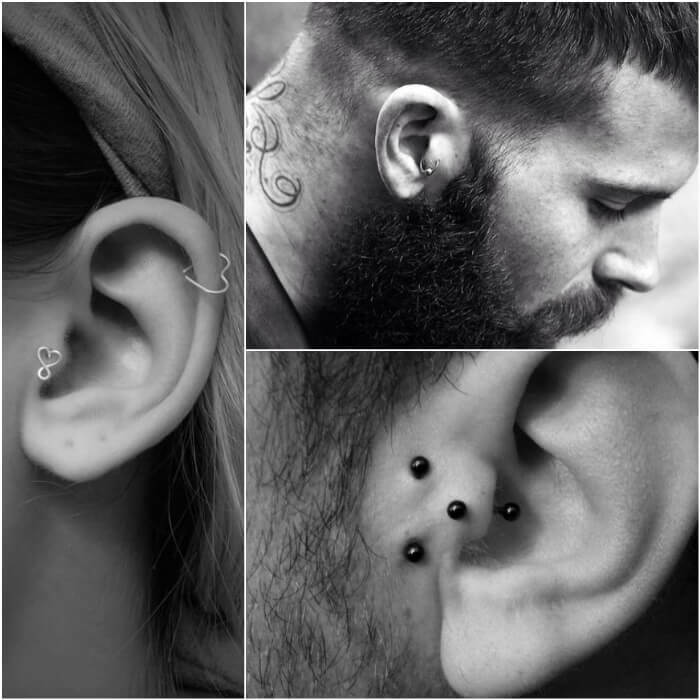 The lobe piercing is still perhaps the most common piercing throughout the world. It’s quite possibly the first piercing you ever had done and also one of the quickest to heal. The lobe is the fleshy, bottom part of your ear. Because of its placement, this piercing tends to be pretty low on the pain meter. You may feel a little sting, but that’s about it. The healing time for this piercing is also one of the quickest, lasting about six weeks. Once it’s fully healed, you can change your earrings as often as you like. What is a Lobe Piercing?